Founded in 1990, we were the first manufacturer of natural stocks and sauces in Australia. Using the latest technology and industry knowledge along with Australia’s high quality raw ingredients, our business was initially focused on exporting to Japan but quickly expanded to the domestic Australian market, South East Asia, the Middle East and the Maldives. Twenty-eight years on, we have constantly innovated and improved our capabilities and use of technology. We are proud to now be the number one supplier of natural stocks and sauces to the food service and food manufacturing industry in Australia, while also offering a contract manufacturing service for consumer brands like The Stock Merchant. 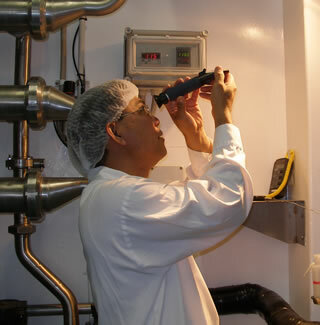 We are also proud to hold one of the highest food safety standards in the industry, FSSC 22000. Prestige Foods Australia is owned by Melbourne headquartered Prestige Foods International (PFI). PFI is one of Australia’s largest food traders and exporters of premium meat, produce and speciality items to customers in the South East Asian and Indian Ocean regions. Prestige Foods Australia Pty Ltd believes in doing the right thing by all of our valued clients and customers. We adopt the United Nations Guiding Principles on Business and Human Rights as the basis of all our activities which are guided by the “Protect, Respect and Remedy” framework to uphold Human Rights. To learn more about our commitment and download our policies, select from the below links.